I'm all for the current metallic trend, especially for this spring - I can't wait to wear pastel dresses with shiny metallic shoes. What I'm not so crazy about is dropping a lot of money on something that's decidedly a trendy purchase. Rather than buying a new pair of metallic shoes, I thought I'd give painting an old pair a try using leather paint. 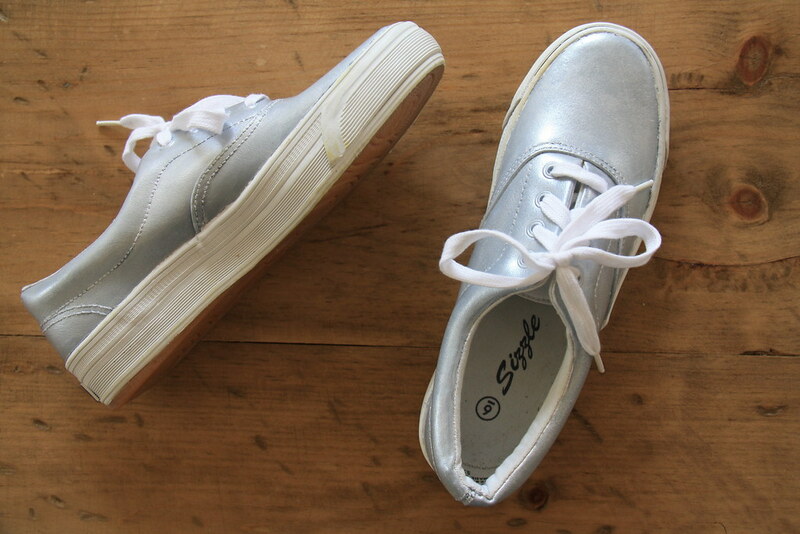 I hit the thrift store with the intention of finding a pair of leather sandals to paint, but instead I found these white sneakers with leather uppers and a matching rubber sole that's over an inch thick. I needed comfortable walking shoes for a vacation we have coming up this month and I don't own a lot of sensible shoes, so I thought these might be a good fit. 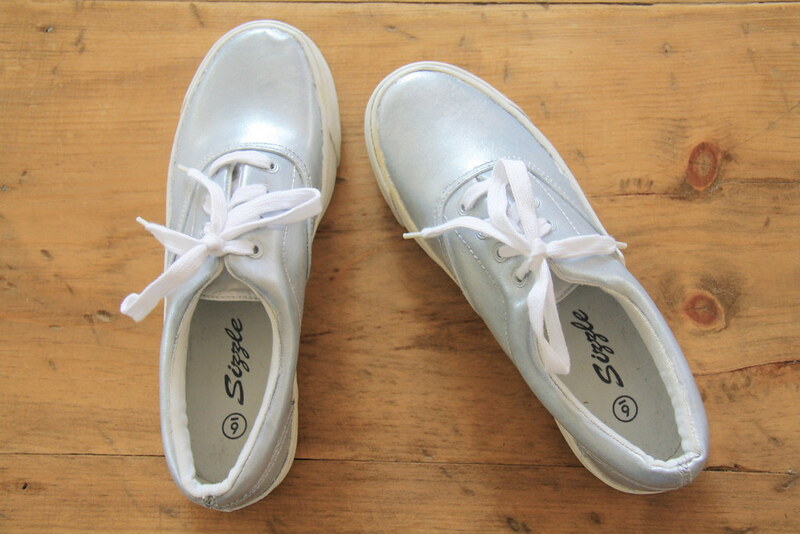 Plus, I've been eyeing silver sneakers with platform soles for awhile. What you need for this project.. there are several ingredients to this DIY and while some are everyday items you probably already have in your home, others are more specific. Everyday items include an old washcloth or towel rag, a soft cloth (an old t-shirt or a bit of muslin or cheesecloth), rubber gloves, 91% (or above) isopropyl alcohol, and masking tape or painters tape. The special items are leather paint, a small angular paint brush, and leather finisher. I used Angelus leather paint and high-gloss acrylic finisher, both purchased at Dharma Trading Co online (highly recommended). 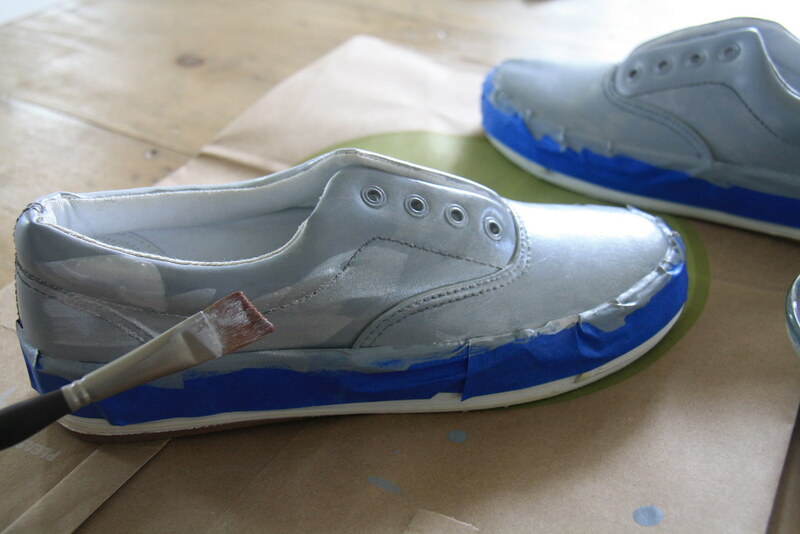 I ordered 1 ounce of gray and 1 ounce of silver in leather paint and used less than half of each, so if you're only doing one small pair of shoes, that should be plenty for you. 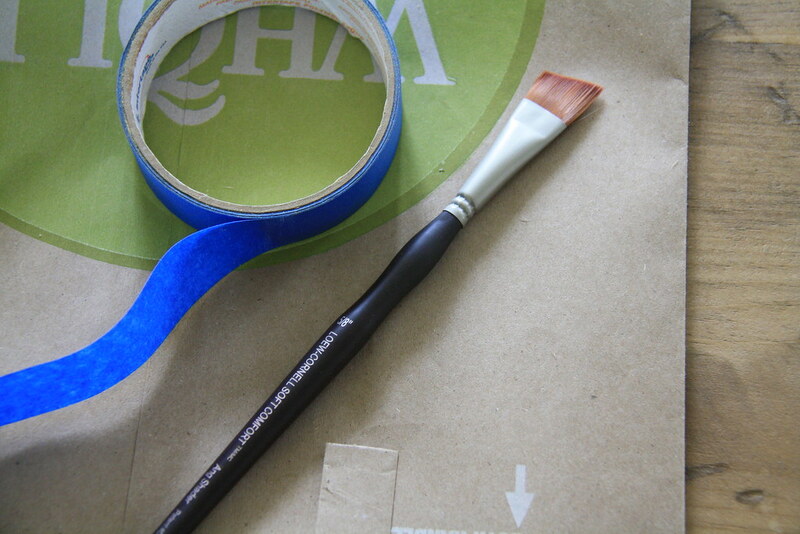 The angled brush was found in the paint section at a local craft store for a couple dollars - the angled edge is important because it'll help prevent brush marks on your shoes. 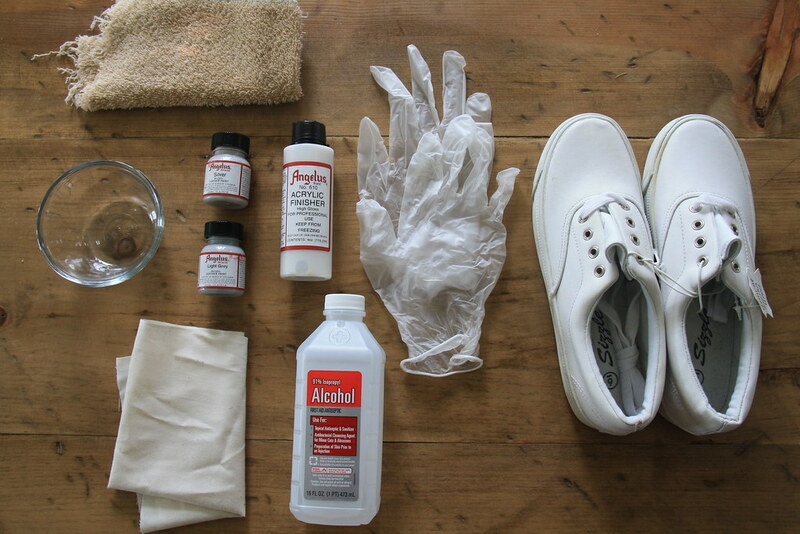 First step in painting your shoes is prepping them. Remove shoe laces. Using the towel rag, wet it down with isopropyl alcohol and wipe down the parts you'll be painting. Don't worry about removing all the color from your leather surface.. just give it a gentle scrub. Be sure to wear gloves as you do so and work in a well-ventilated area, as the fumes can get pretty strong. It's almost time to paint! 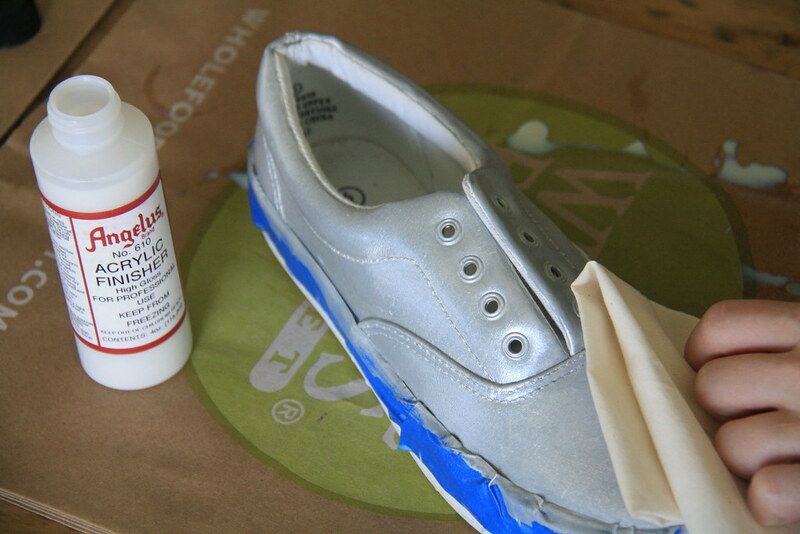 Use masking or painters tape to mark off the edges of the soles. Be really careful with this, as it's not so fun having to scrape off the edges afterwards (as I learned). Next step - prepare your paint. 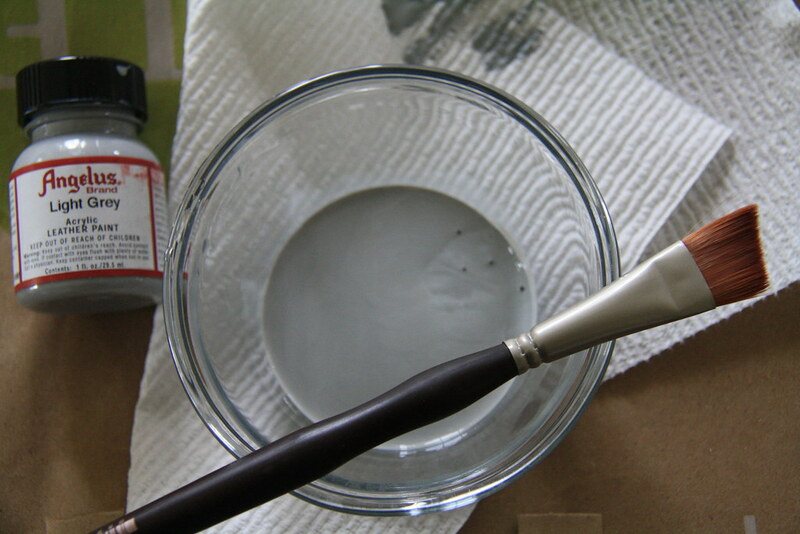 Pour a small amount of paint into a container with a tiny bit of water, so the consistency of the paint isn't quite as thick (but not runny or watery, either). 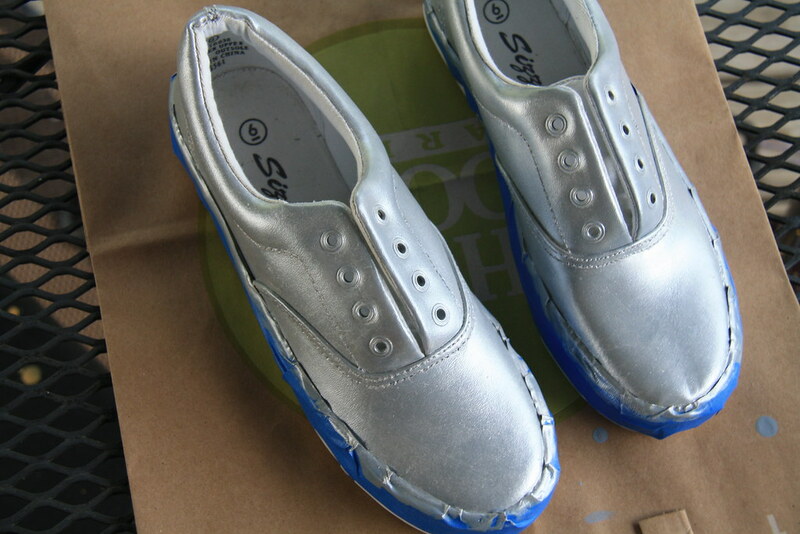 If you're painting your shoes a metallic hue, you want to first paint the shoes with a non-metallic color that matches, like a primer.. so I used gray before using silver. Stir the paint with your brush and begin painting using light, short strokes. 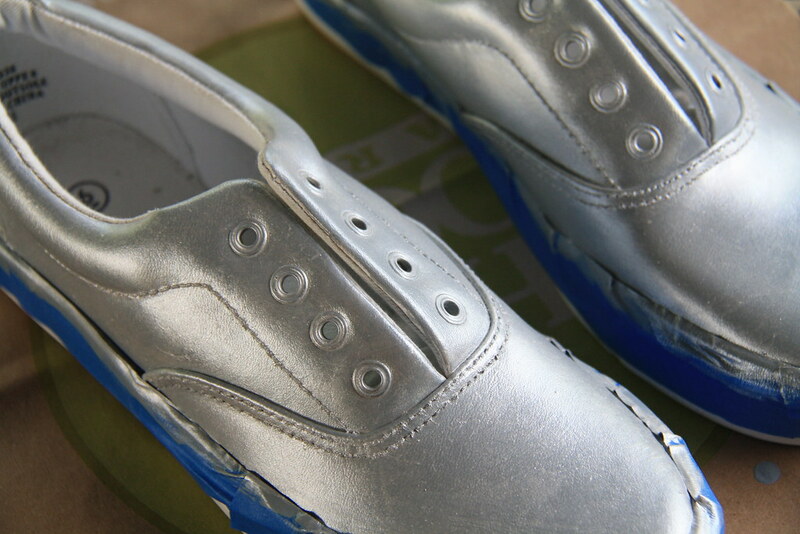 I painted my shoes with four layers of paint in all - two gray, two silver. The first layer of paint, aim your brush strokes in one consistent direction and the next layer of paint, aim the strokes in the opposite direction for better coverage. Between each coat, dry outside (avoiding direct sunlight) for about a half hour or until completely dry before applying the next coat. 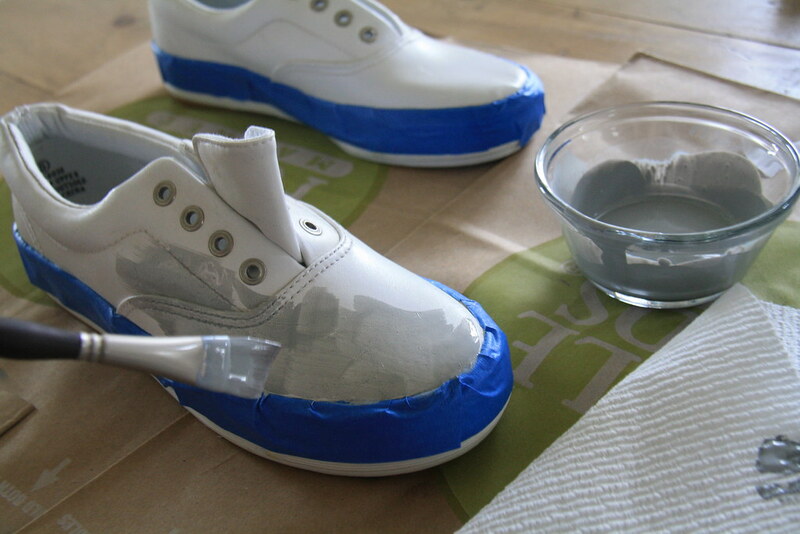 Once you've attached your desired color and the shoes are completely dry, it's time to finish them. Take out your finisher and apply it to your soft cloth (I used a square of extra muslin as my soft cloth). 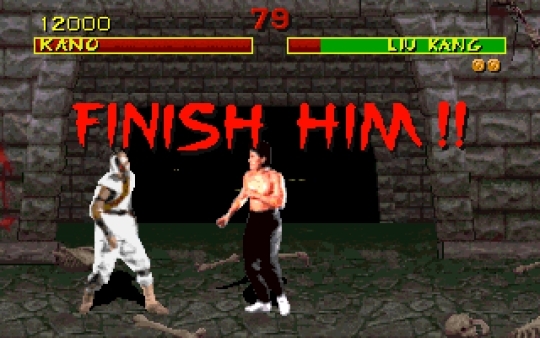 Gently rub the finisher over your shoes evenly in a consistent direction, then set your shoes out to dry one last time. 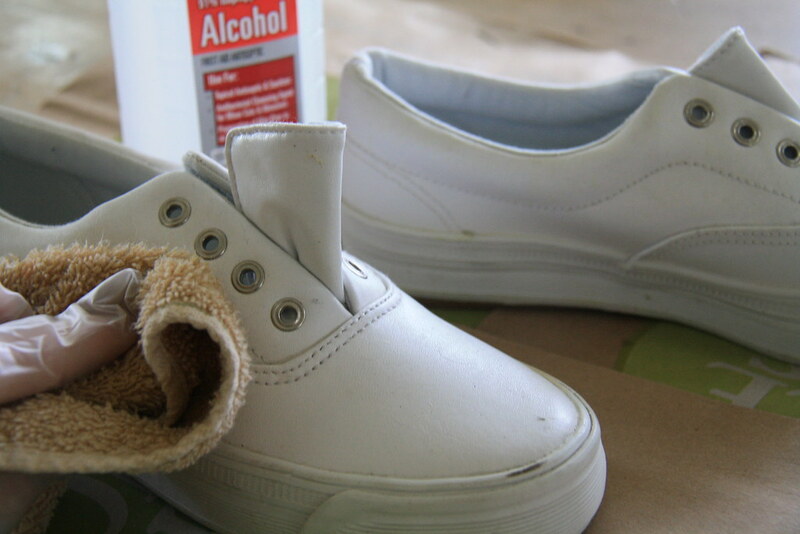 Once everything is dry, remove your tape, put the shoelaces back in, and admire your handiwork! 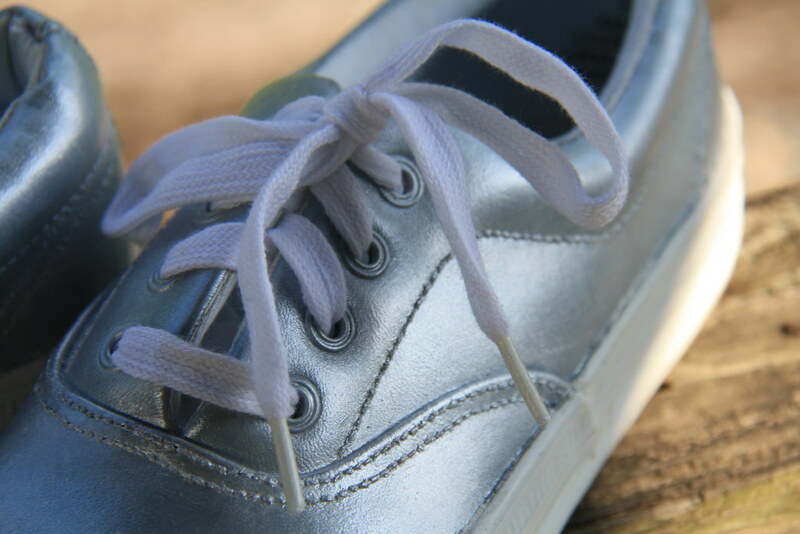 If there are paint smears on the rubber sole, you can gently scrape them off with a razor blade or box cutter (or even a toothpick might work around the edges). Now you have some shiny new (old) shoes! 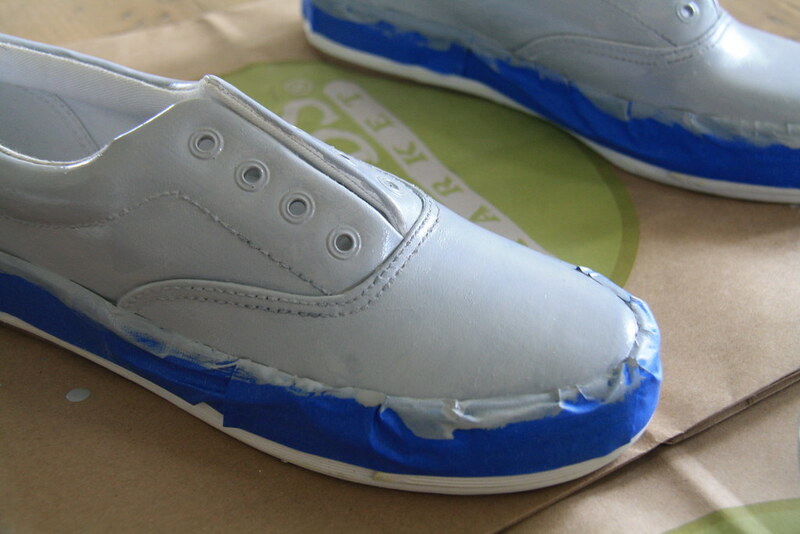 The total cost for this project was 20 USD for me, since the thrift store shoes were 8 (which is actually pretty pricey for a thrift store around here). You can definitely do it a little cheaper if the shoes you find are less expensive or if you have some things already at the house (like the isopropyl alcohol or gloves). Overall, not a bad price and a really fun project - plus the paint you purchase should last you through another pair, and it can be used for touch-ups in the future. Note - I learned this process from a tutorial shared here by Anthony Hoffman, a professional shoe painter. Definitely check out the article for a more in-depth look at leather painting.